Today, a majority of our activities is carried out online. 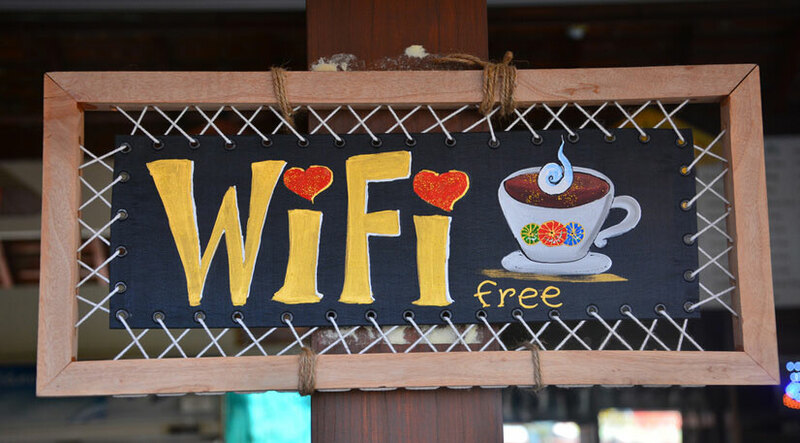 This includes checking emails via your mobile data network, surfing the Internet on your home networks, or updating your social status on free, public WiFi at your favorite café. If you are constantly on public WiFi and find it a great alternative to using up your phone data, you should have protective measures to keep your data safe. Hackers are always on the lookout for loopholes in public networks, and if you are not careful enough, they may hack your sensitive accounts and wreak havoc. Firstly, you need to be aware of WiFi sniffing. Hackers use this method to monitor network traffic and record large amounts of data traveling across it so that they can parse them later for more specific details. Next up is the insertion of malware in a public WiFi network. If you are not careful, the malicious software can access everything on your device, including your private photos and files. Worst, they may even turn on your microphone or cameras without your knowledge. Another troubling matter is that hackers can create their own public network for you to access, to carry out man-in-the-middle attacks. The fake network they have created may resemble a network name that is similar to restaurant or café nearby. Their aim is to stand in between your computer and the computer you are attempting to connect through them, regardless of whether you are using an encrypted or HTTPS website. One of the best methods to keep oneself safe while online is always to utilize a private proxy. A proxy is designed to an encrypted connection between your computer and another computer in a remote location. It achieves this goal by re-routing all your communications through a secure, separate network. With that, you should avoid using free proxies. Free-to-use versions are usually in the business of selling your data for profit. At Proxy Key, you have nothing to worry about. We offer flexible proxy services that ensure an easy and convenient way to keep yourself safe online. Before you connect to any public networks, it is wise to turn off file sharing on your computer. It is understandable that file sharing makes it convenient to share files across multiple devices at home, but in public WiFi networks, it is a different story. You may easily share personal files without you knowing that it is happening. The next step after turning off file sharing is to check that your firewall is turned on as well. Besides not using public WiFi at all, you can enhance the safety aspect of your online experience by avoiding accessing your bank and other sensitive accounts. These accounts are most appealing for hackers. Social networking sites and email accounts are also considered sensitive, and you may risk sharing sensitive information over these channels, over a public WiFi network. If you really need to use public WiFi, remember to always remain vigilant and be safe. As you would already know, hackers are ‘hard workers’ too!